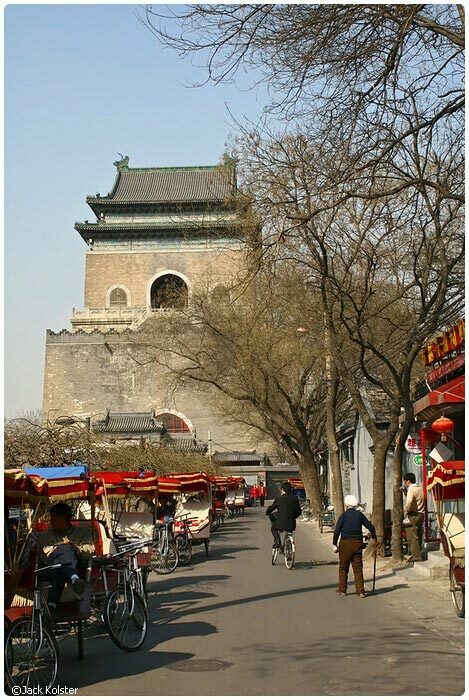 The Drum and Bell Towers (GuLou & ZhongLou) are situated at the northern end of the central axis of the Inner City, to the east of HouHai (and just south of GuLou DaJie subway station). 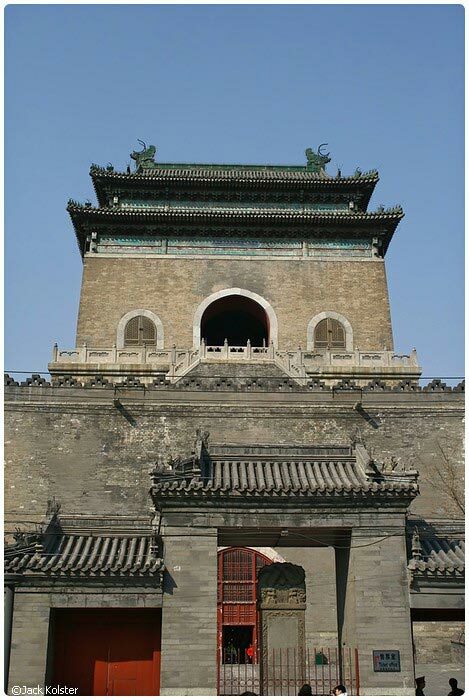 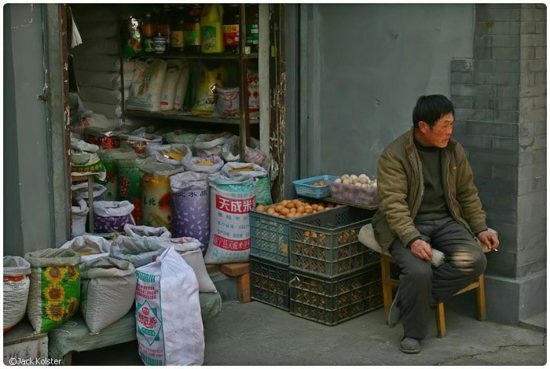 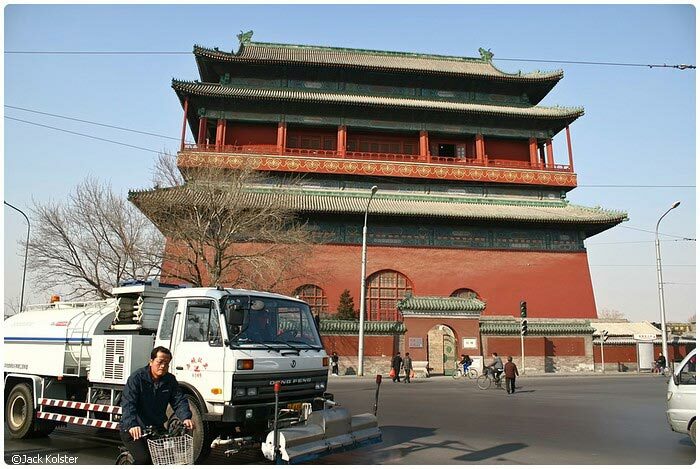 Drum and Bell Towers are a common feature of chinese cities – and of chinese temples. 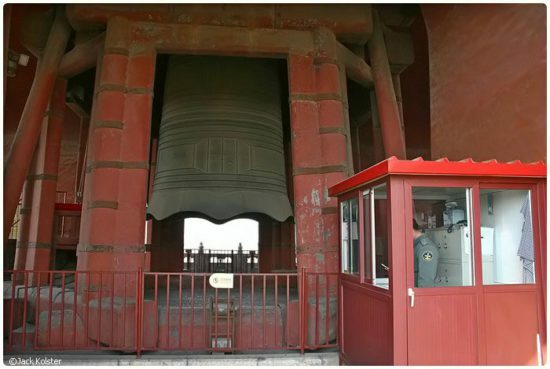 Bells and drums were musical instruments in ancient China. 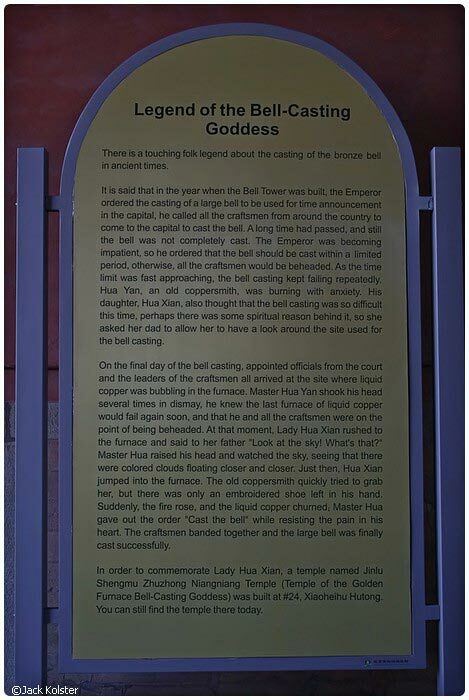 Later, they were used to announce the time – the Bell Tower and Drum Tower had this function during the Yuan, Ming and Qing Dynasties. 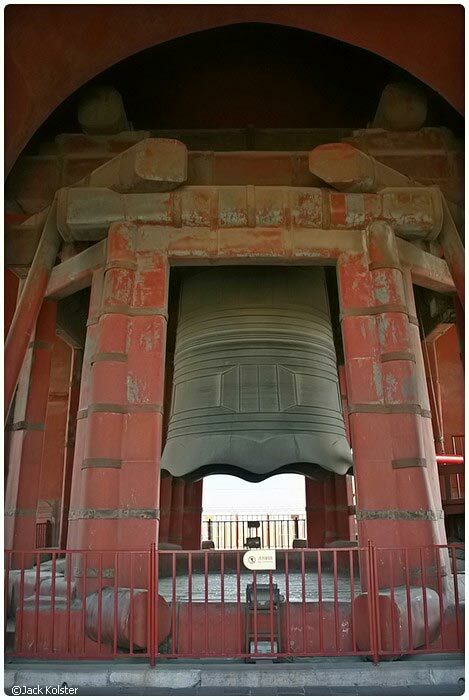 The times and patterns varied, but in general only the bell was rung during the night. 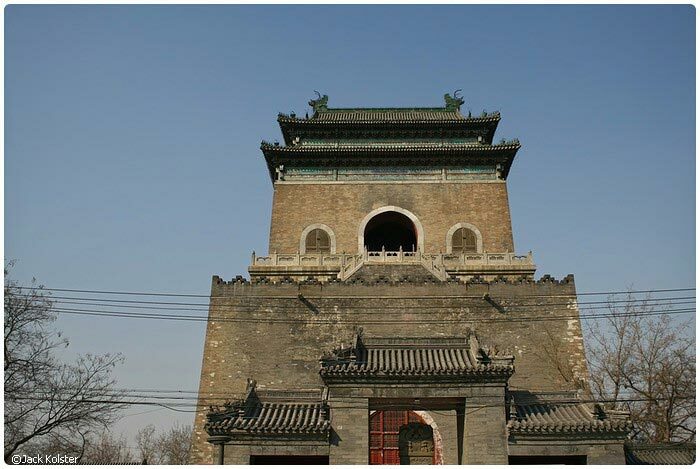 You can still hear the beats from the ancient Drum Tower even now. 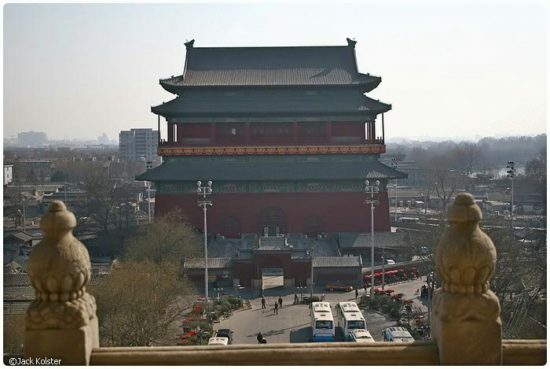 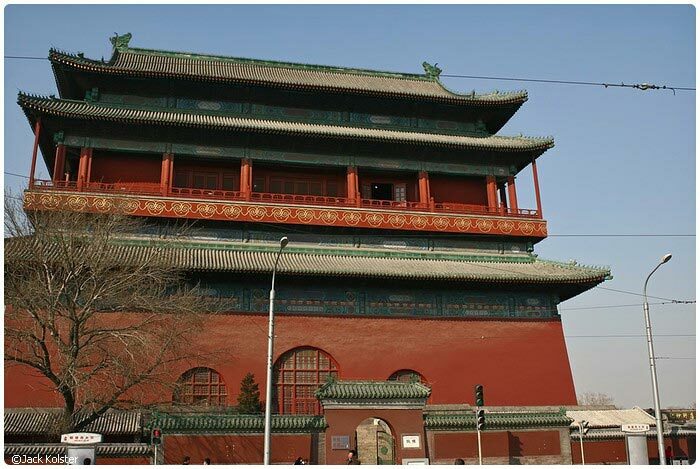 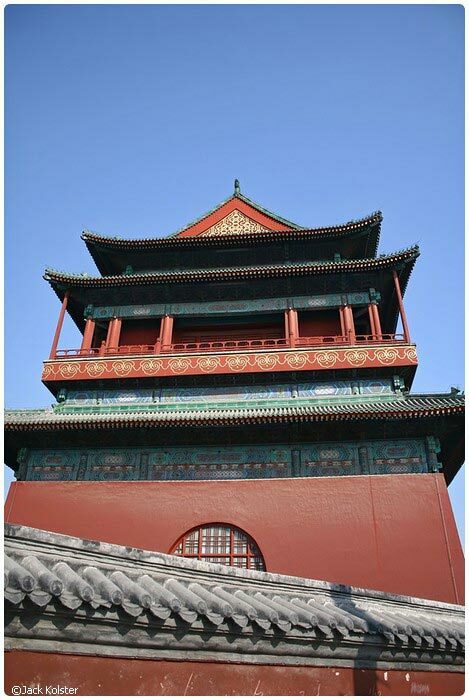 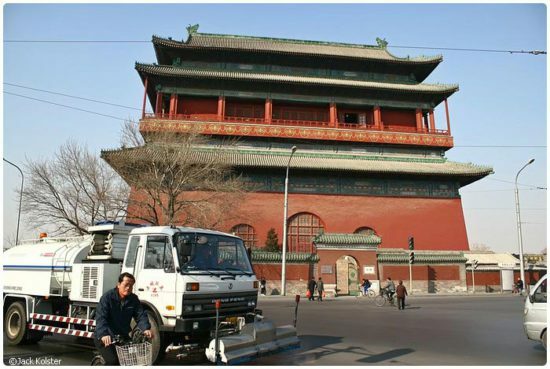 The Bell Tower and Drum Tower of Beijing were listed among the first batch of cultural relics under municipal protection in 1957, and listed as cultural relics under state-level protection in 1996. 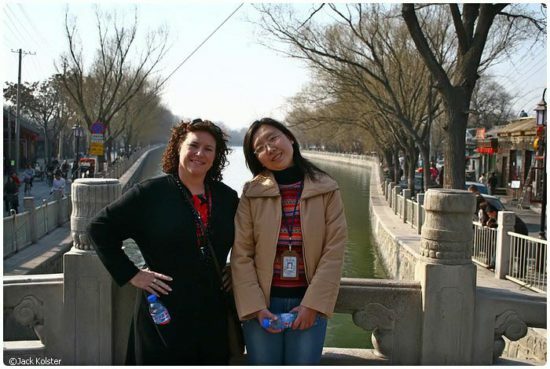 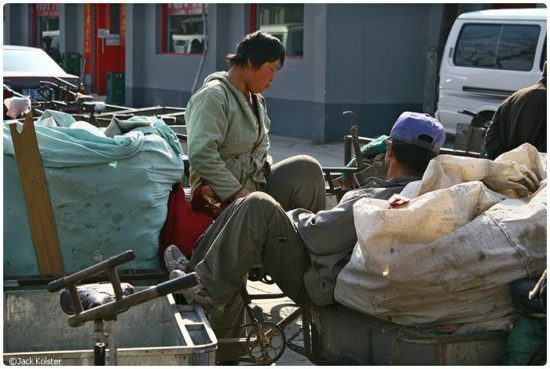 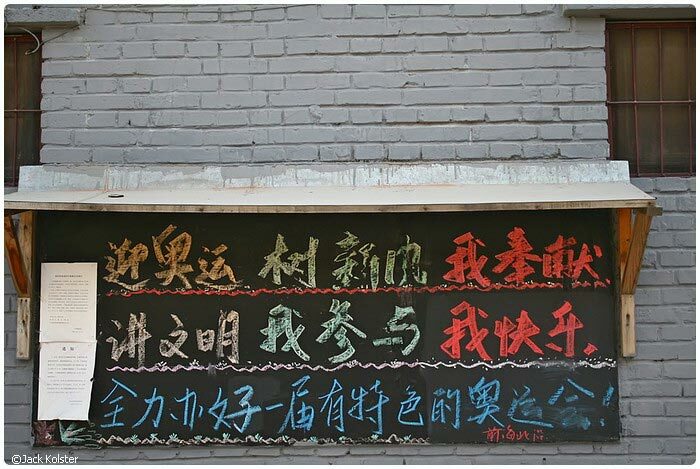 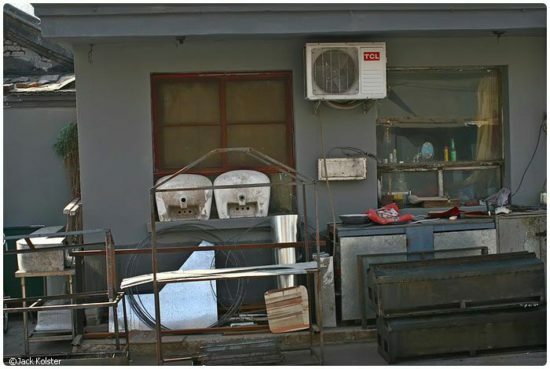 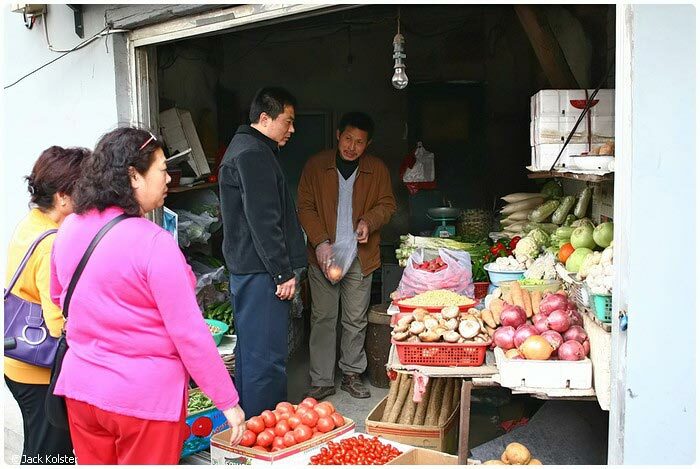 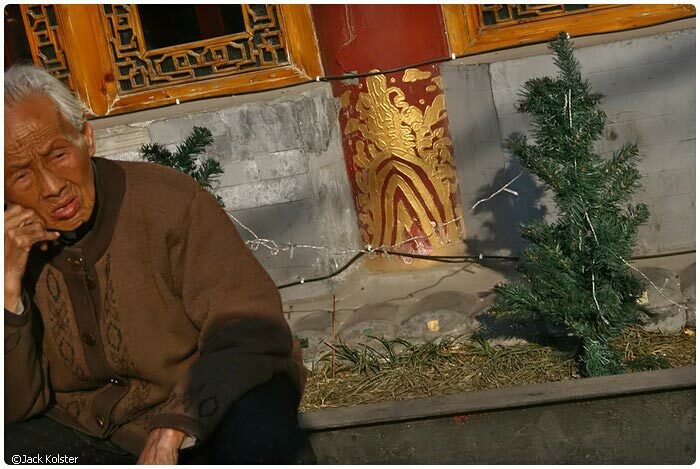 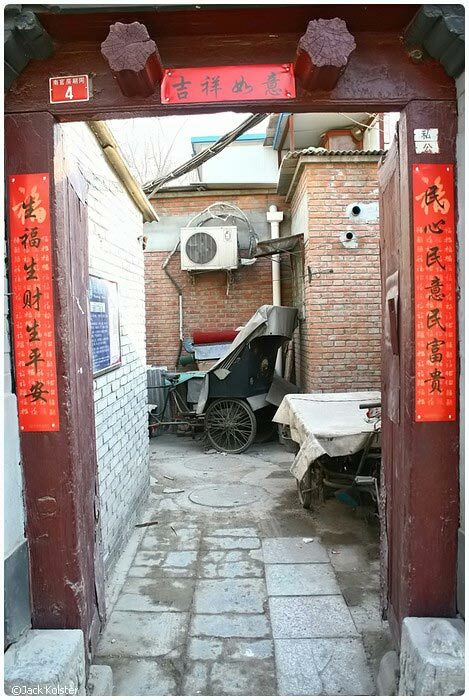 The word “hutong” is Mongolian in origin, meaning a “water well”. In the old time with the digging of new wells, came the new communities. 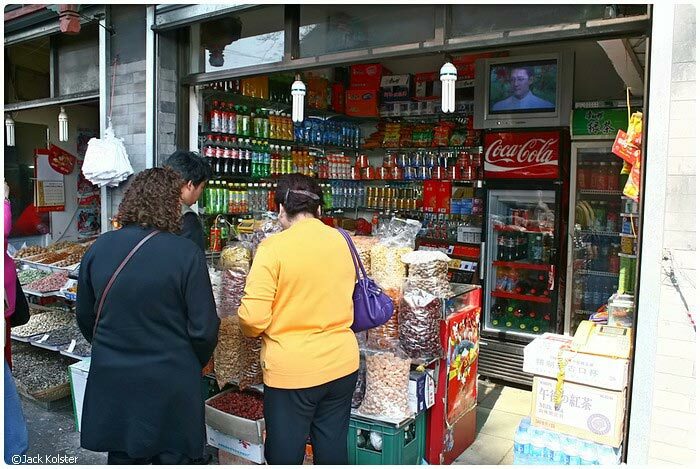 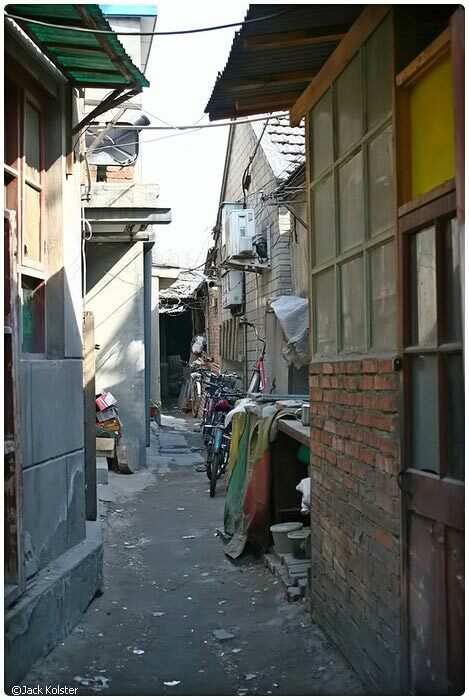 Later it was referred to as narrow streets or lanes formed by quadrangles. 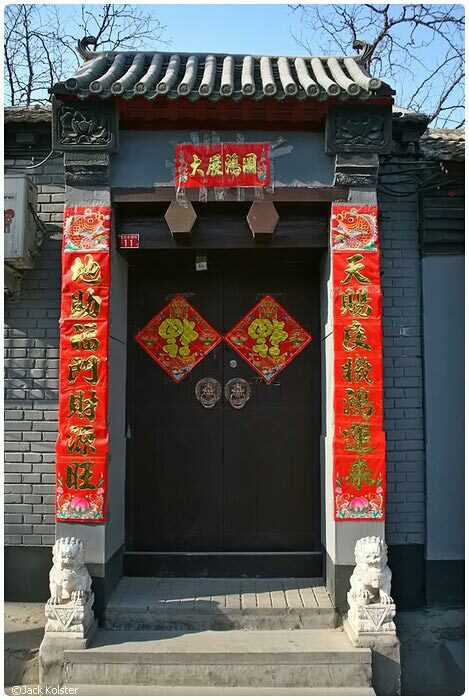 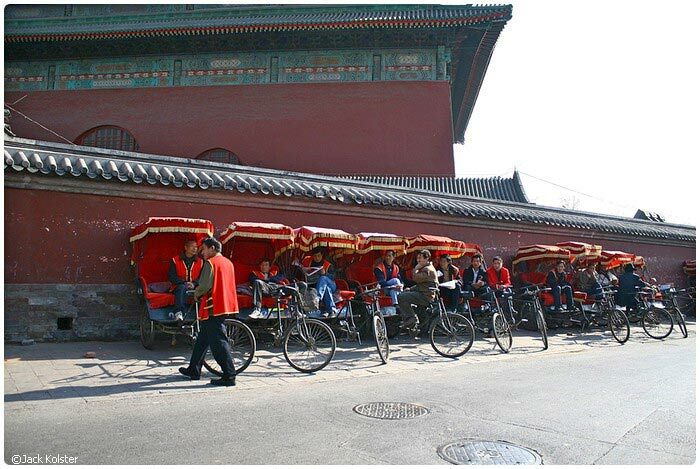 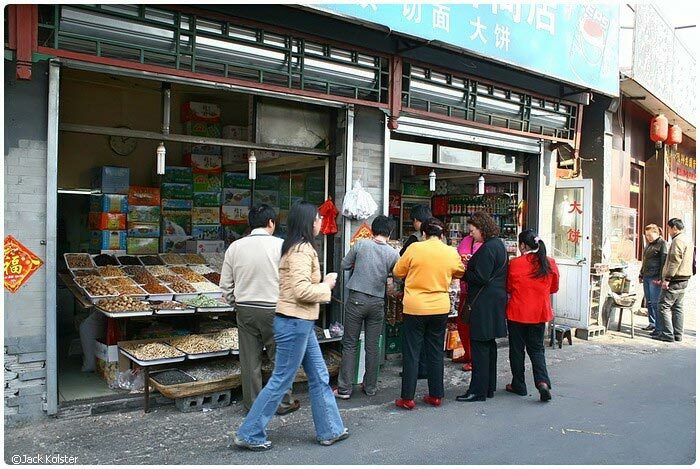 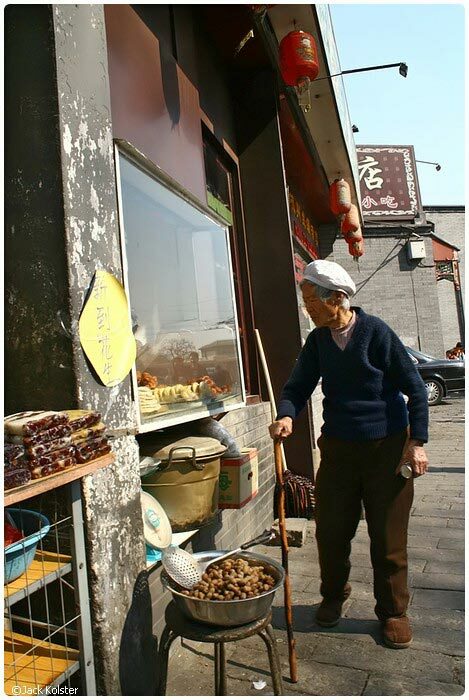 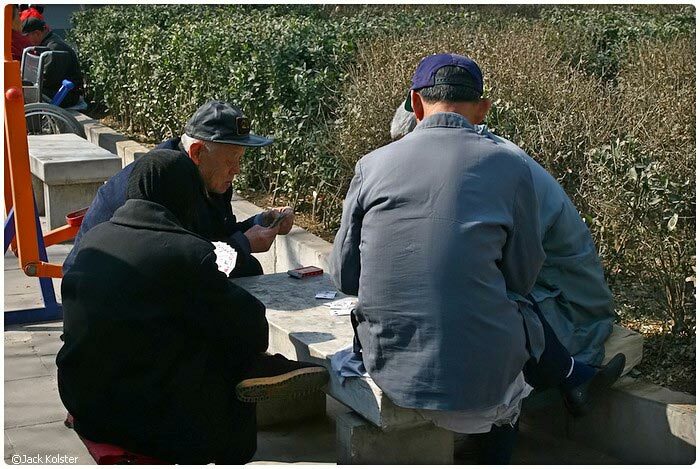 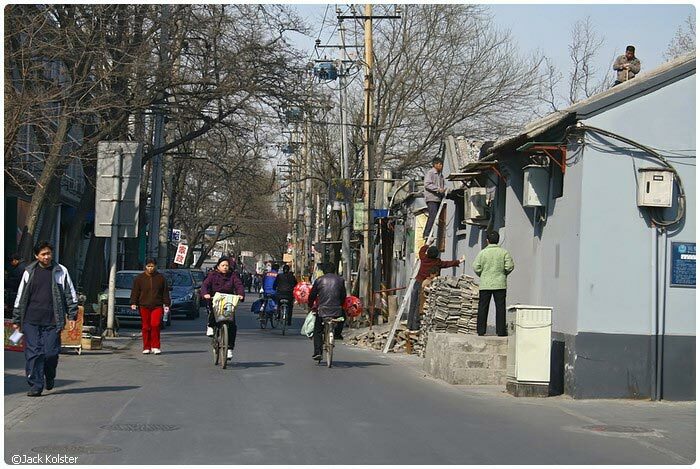 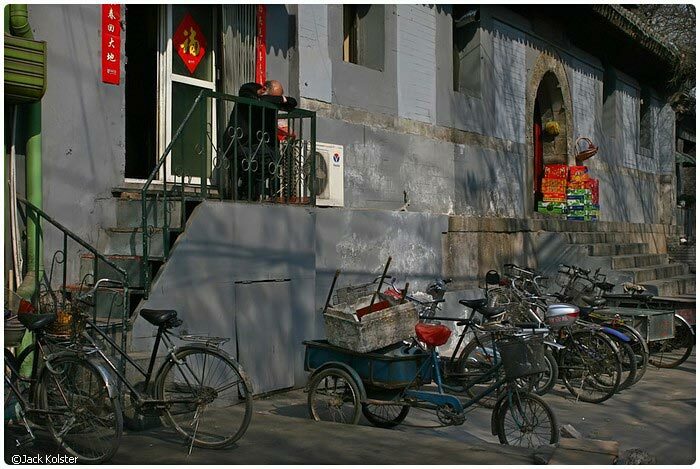 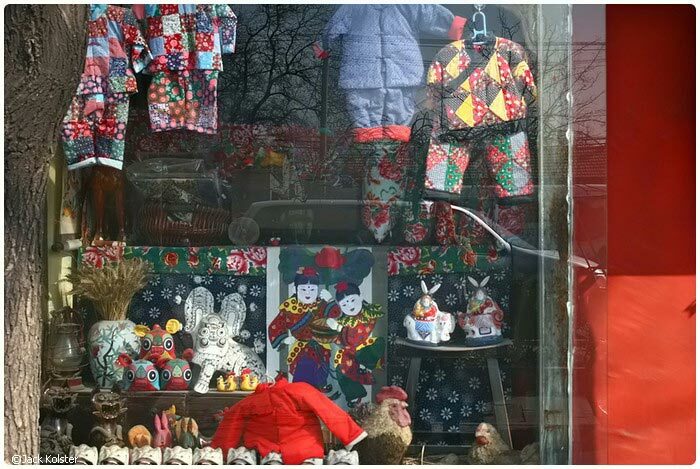 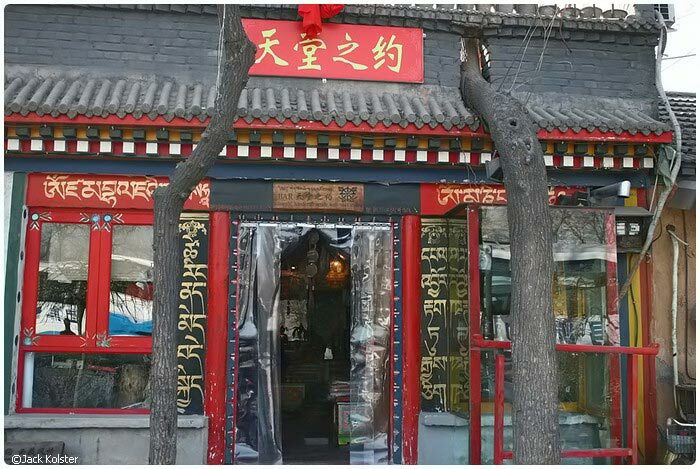 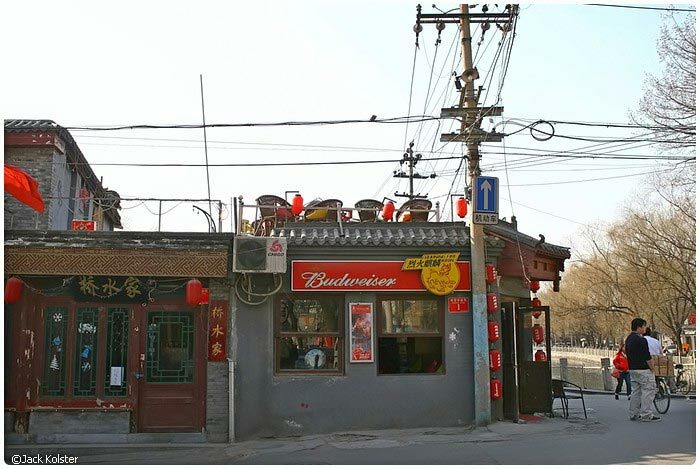 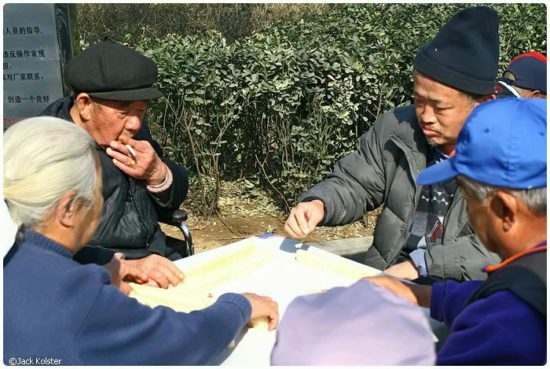 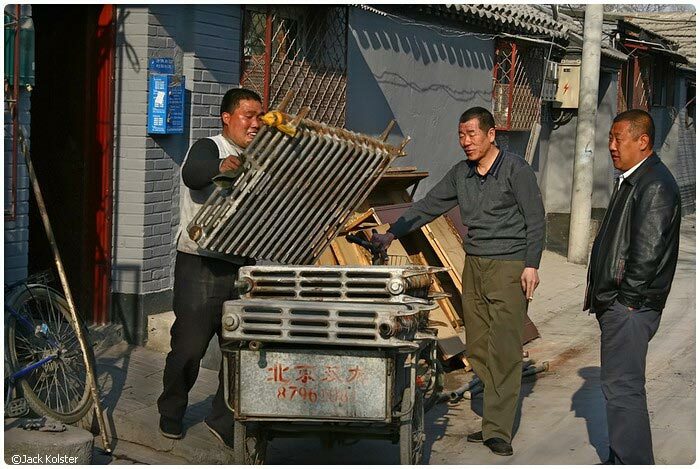 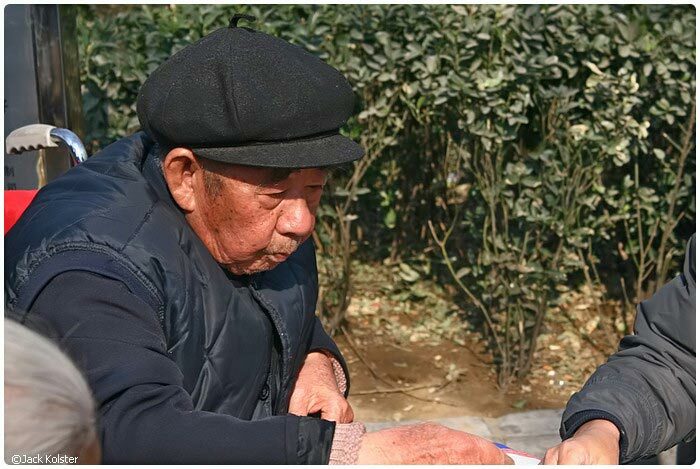 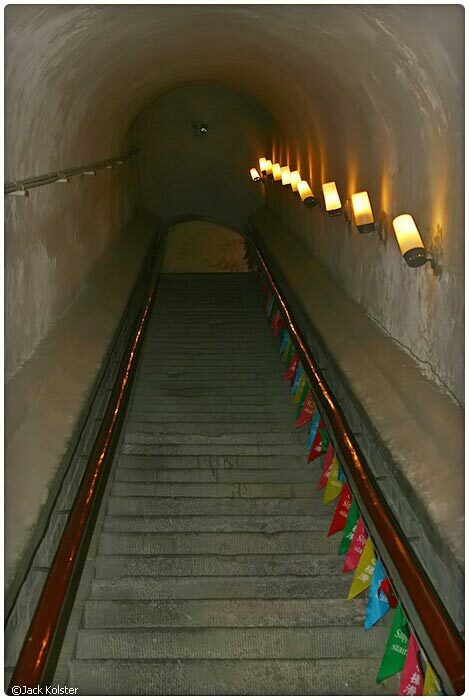 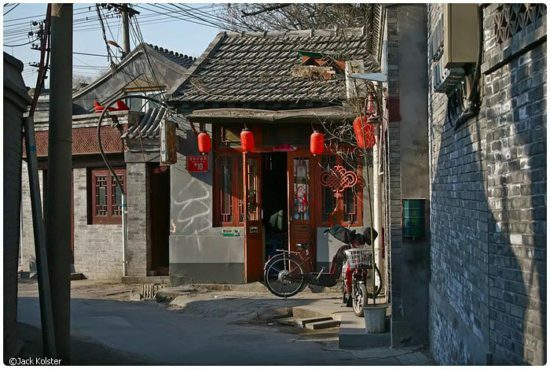 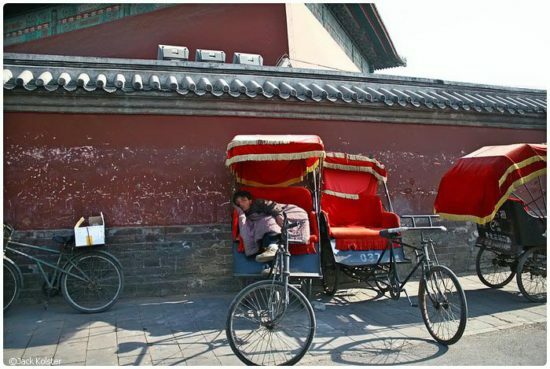 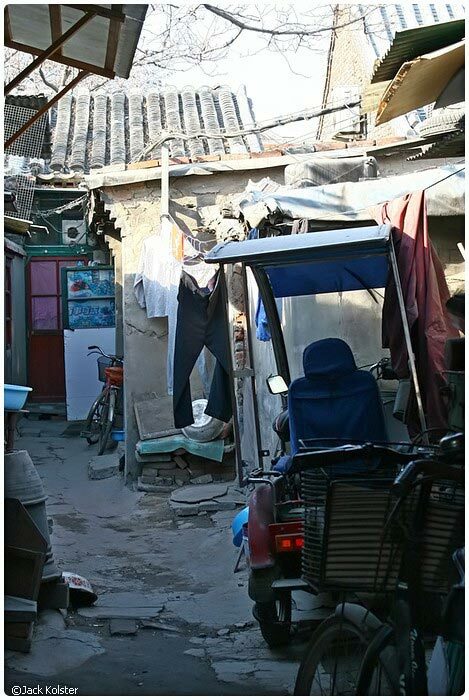 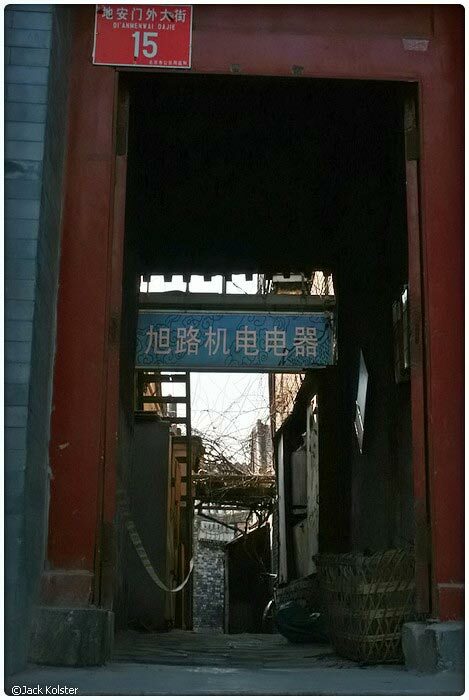 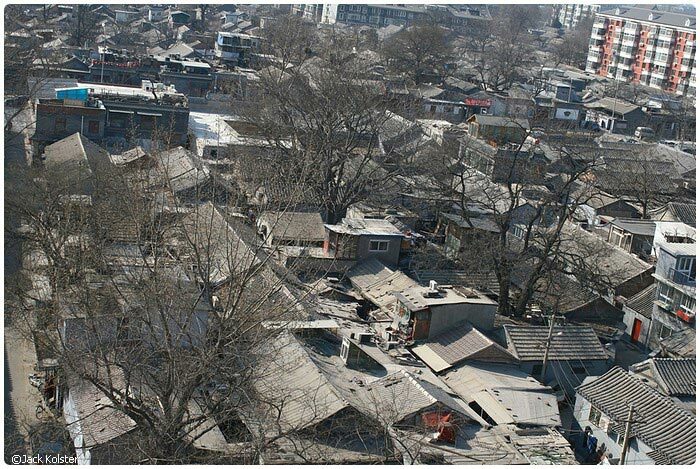 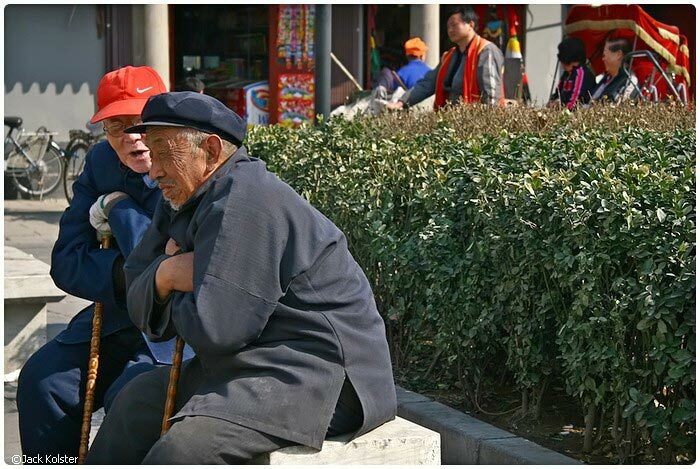 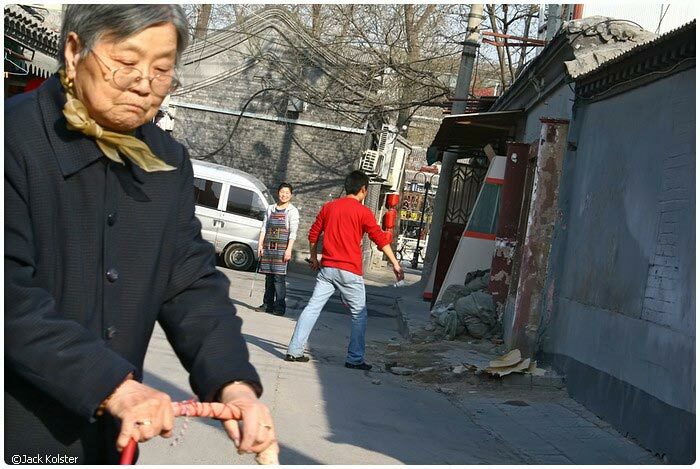 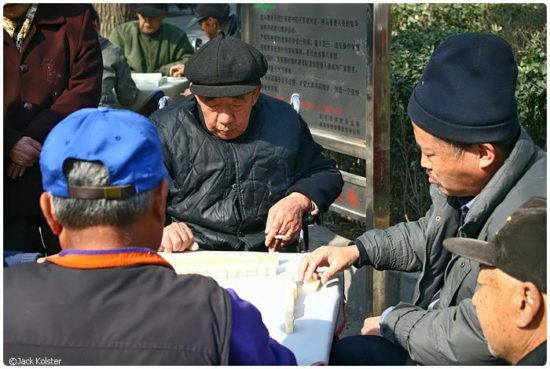 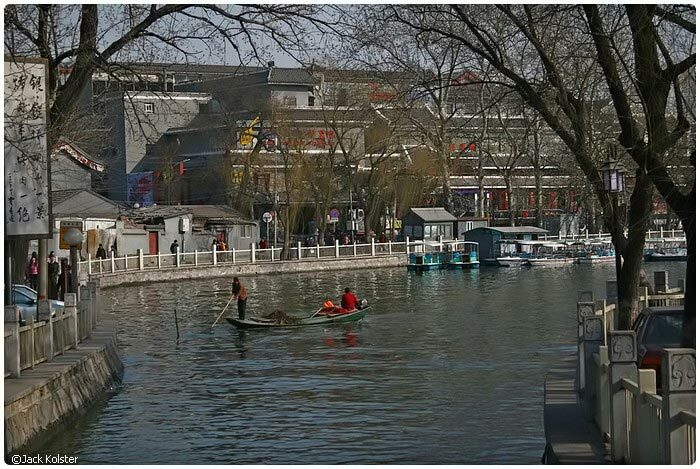 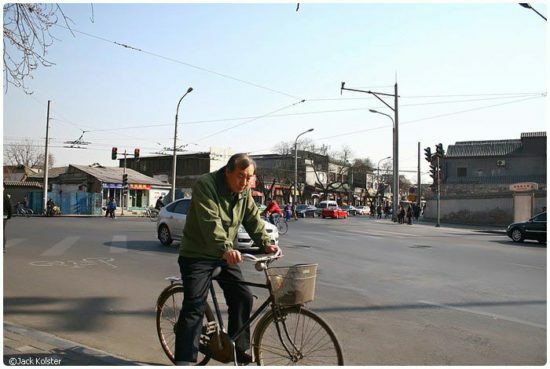 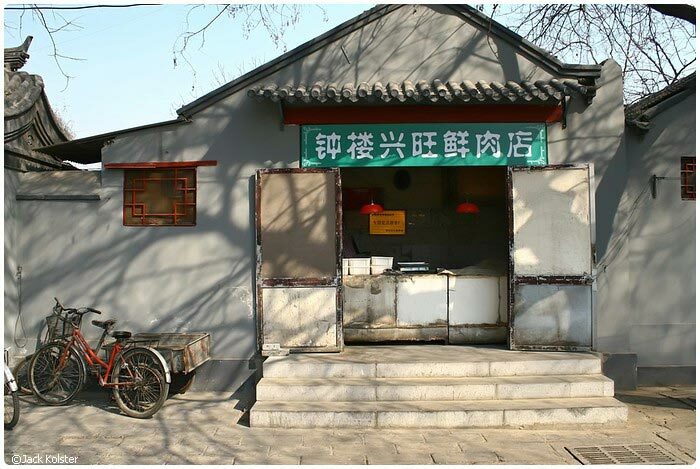 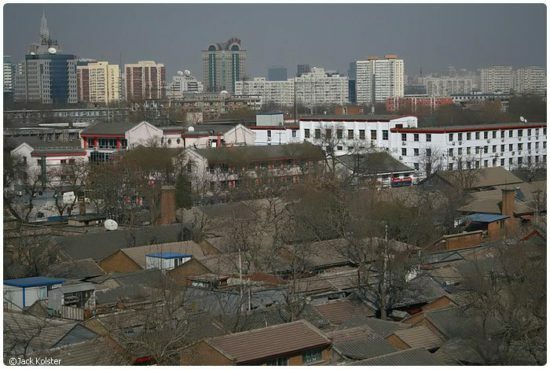 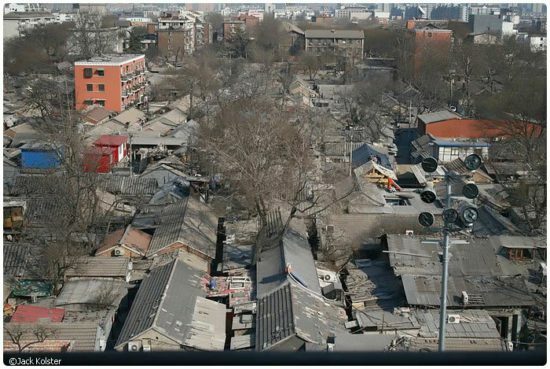 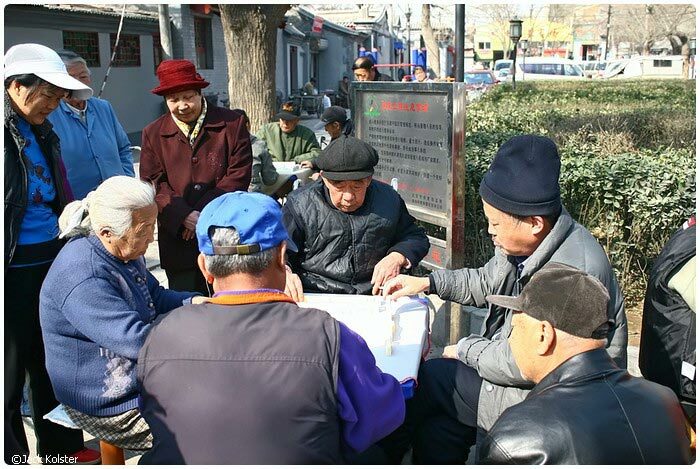 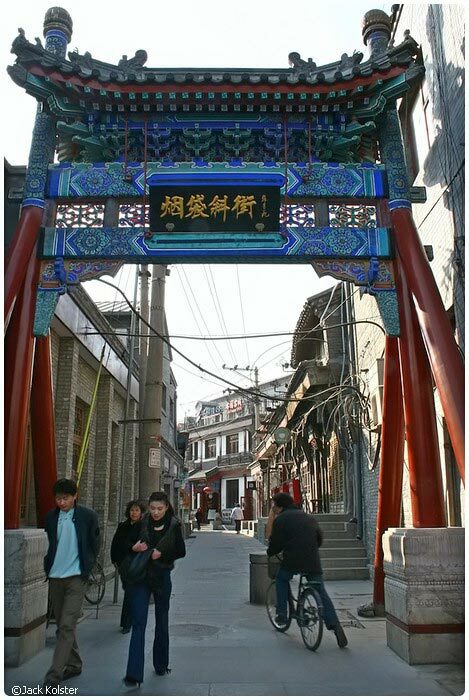 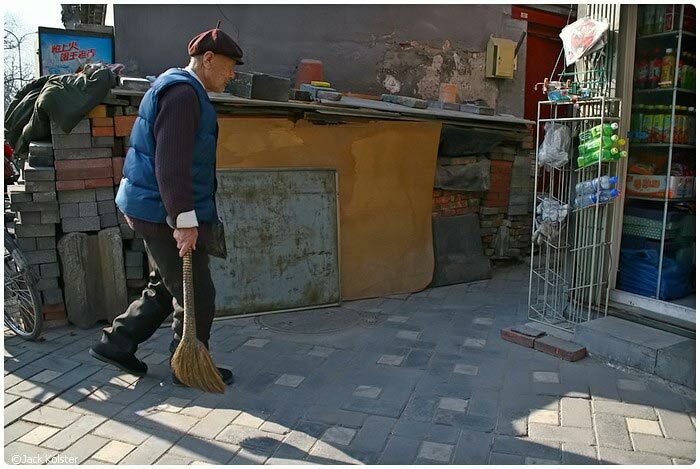 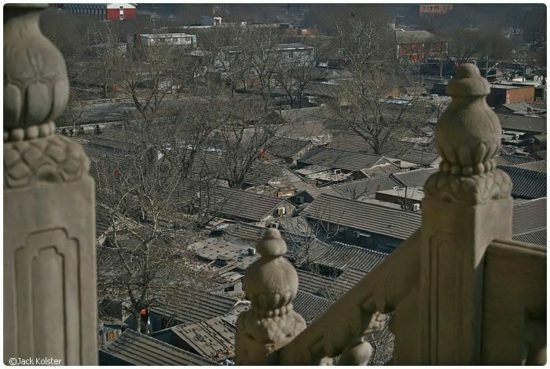 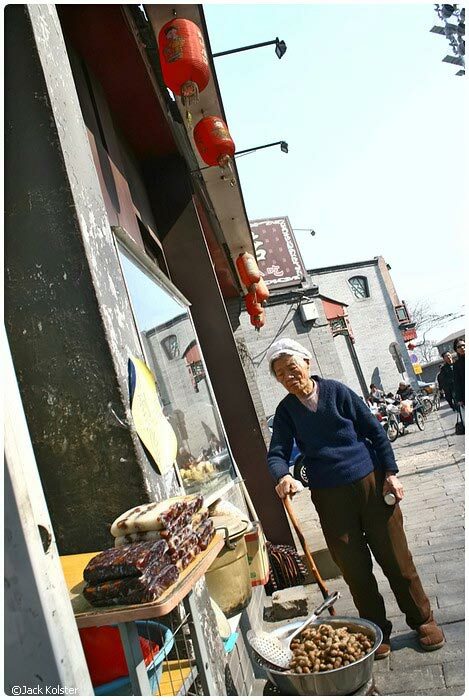 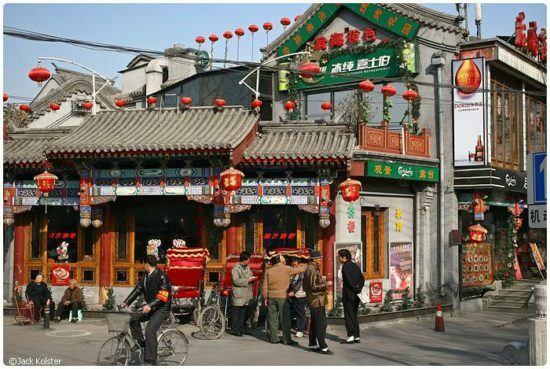 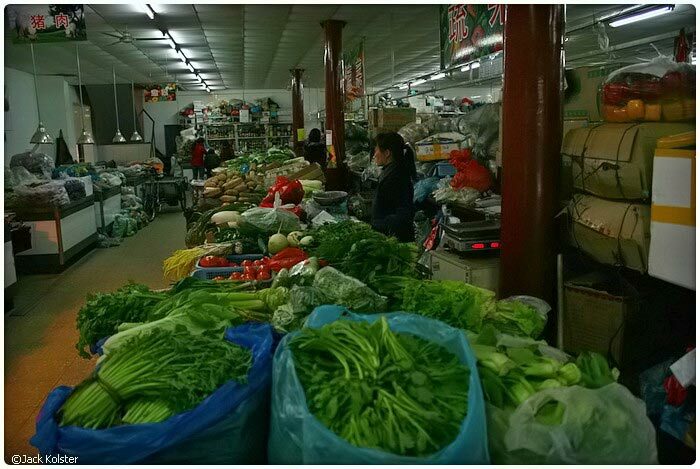 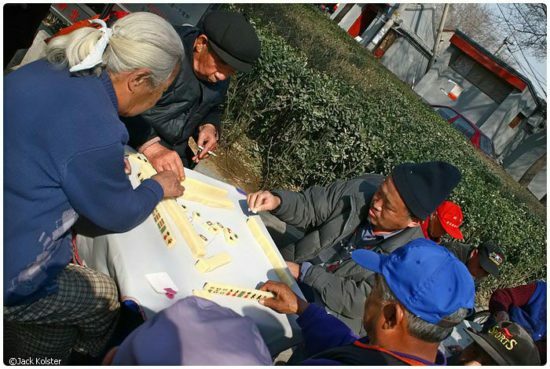 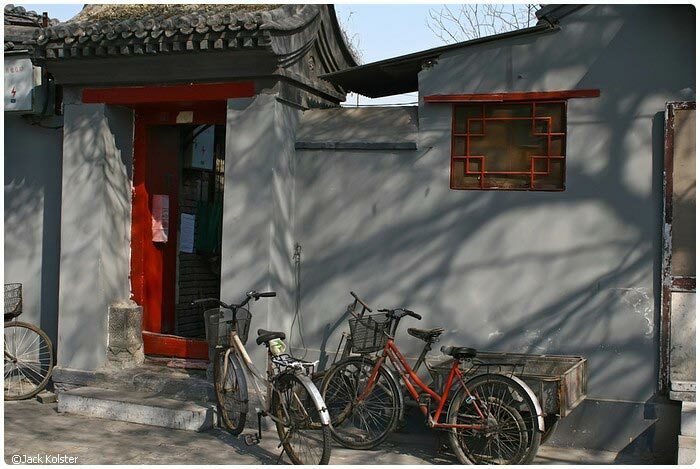 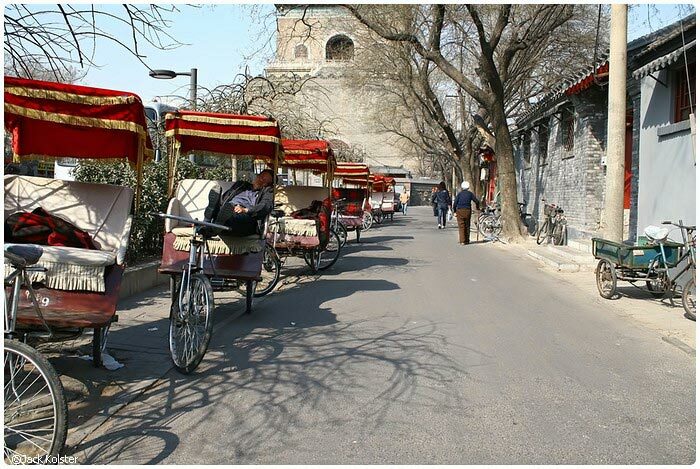 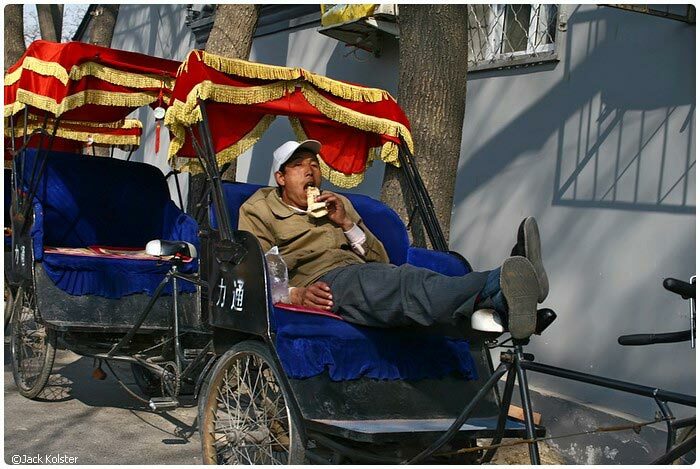 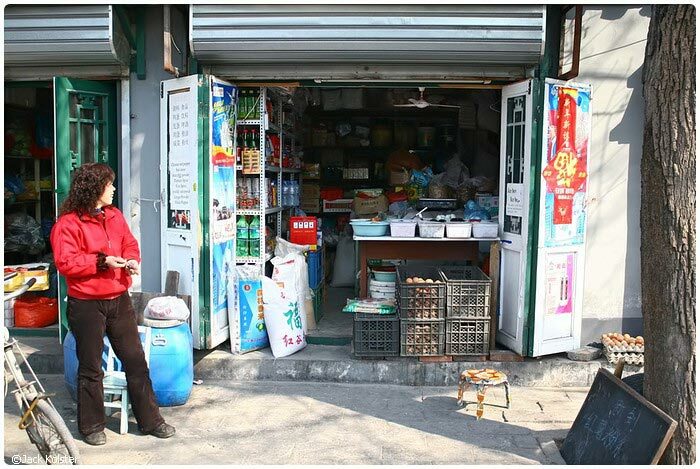 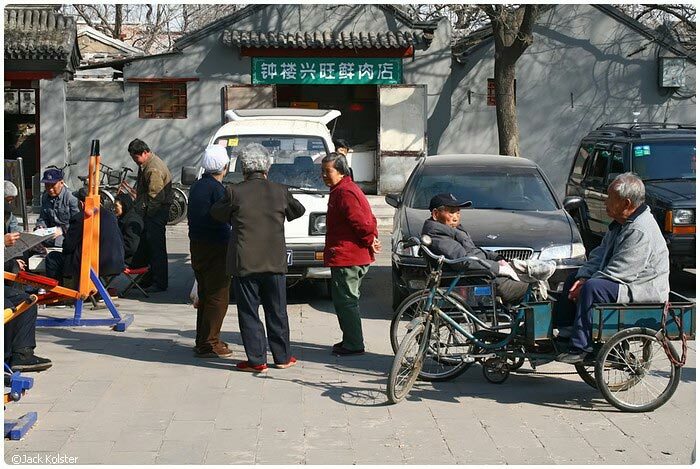 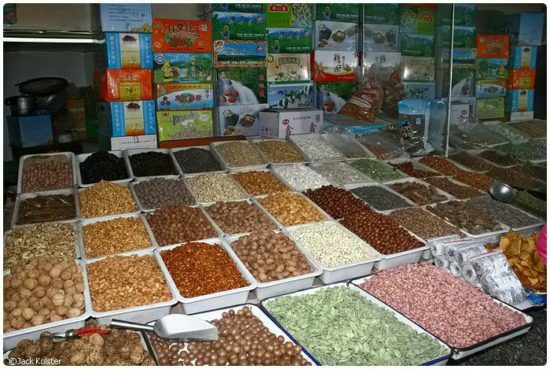 The word ” hutong” with the meaning of narrow lanes was formed during the Yuan Dynasty in the 13th century when the Mongols, led by Genghis Khan, occupied Beijing, then the capital of the Jin Dynasty. 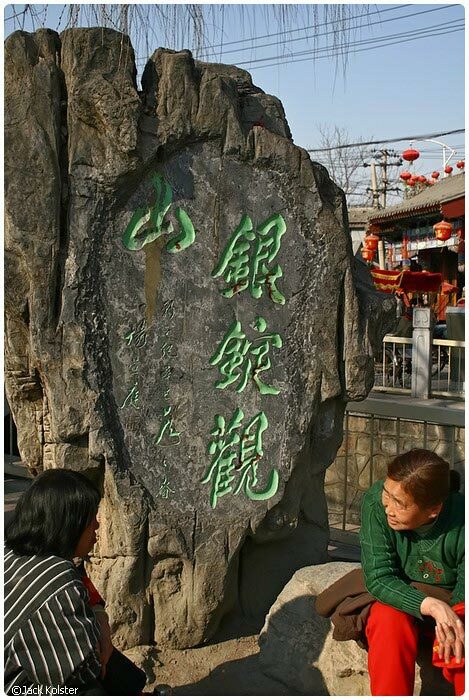 In 1260 Kubla Khan, grandson of Genghis Khan, established the Yuan Dynasty. 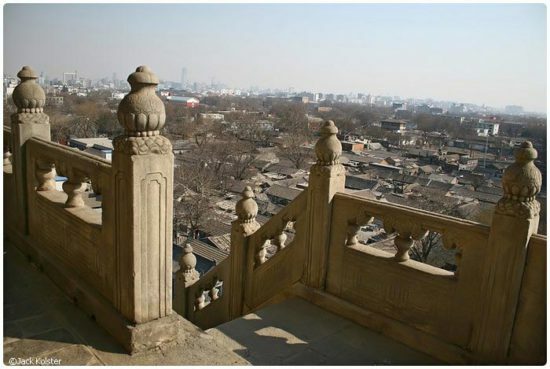 Kubla Khan chosed Beijing as his capital. During the takeover by the Mongols, the old city had been largely demolished, and so he decided to rebuild the city. 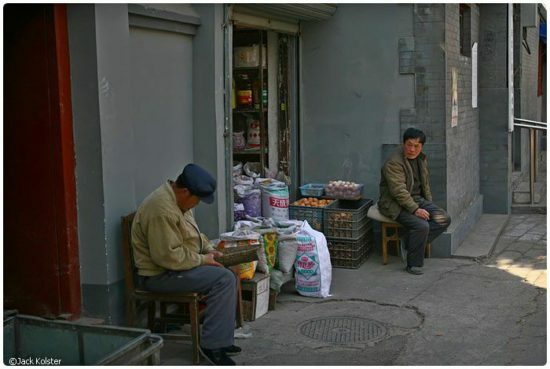 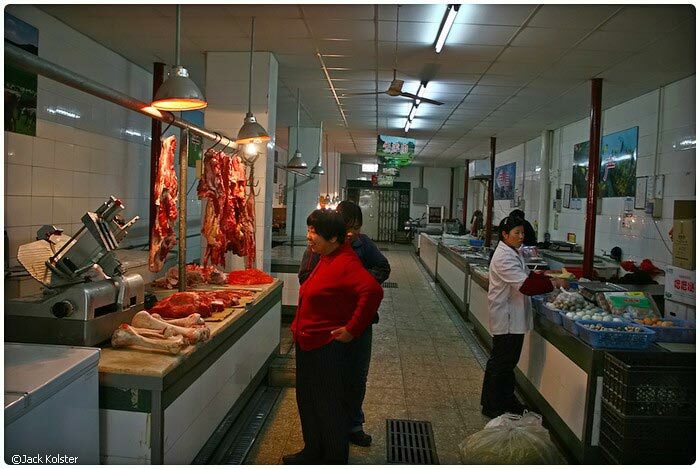 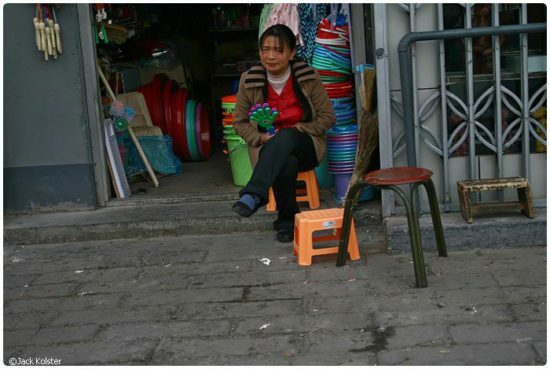 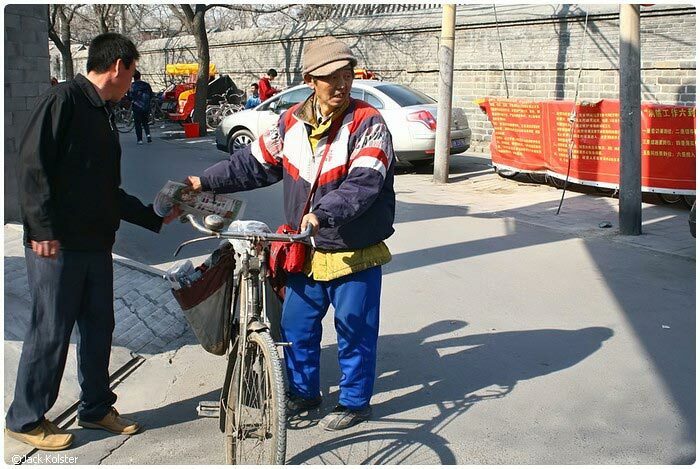 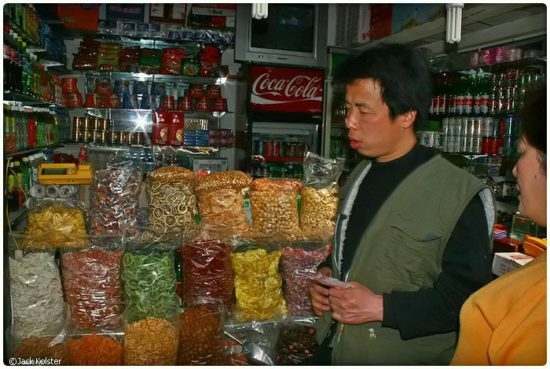 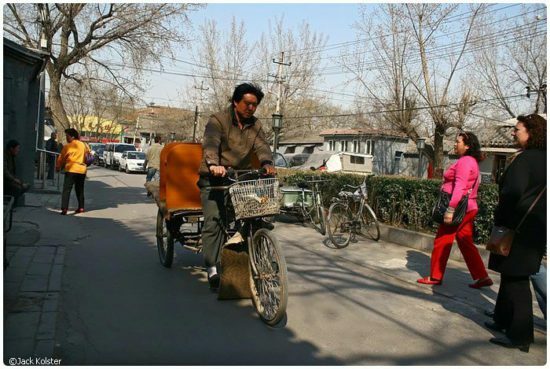 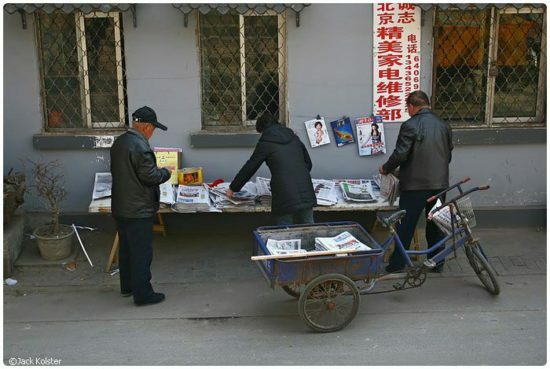 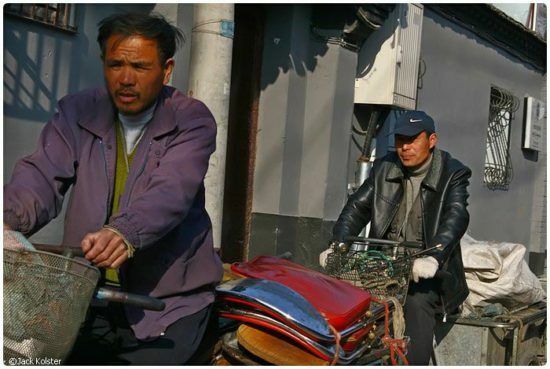 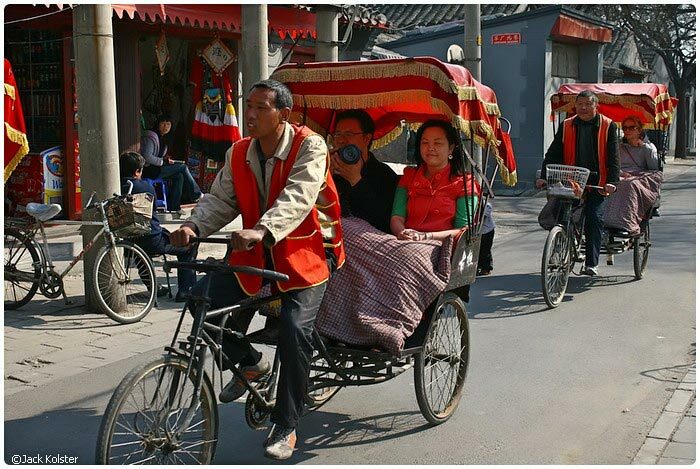 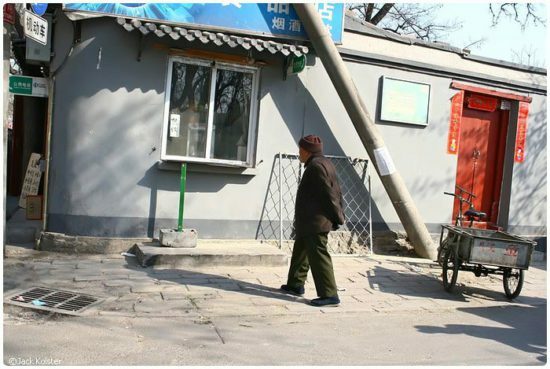 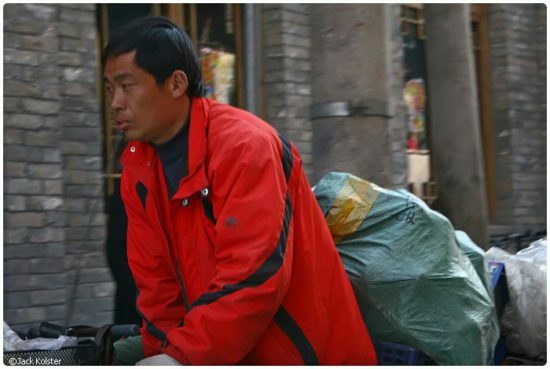 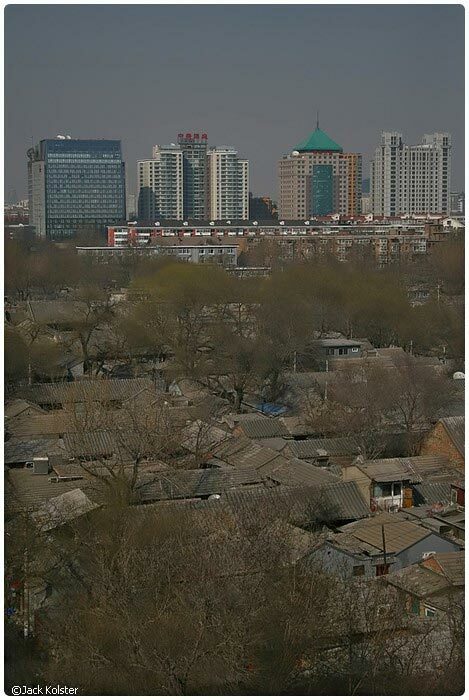 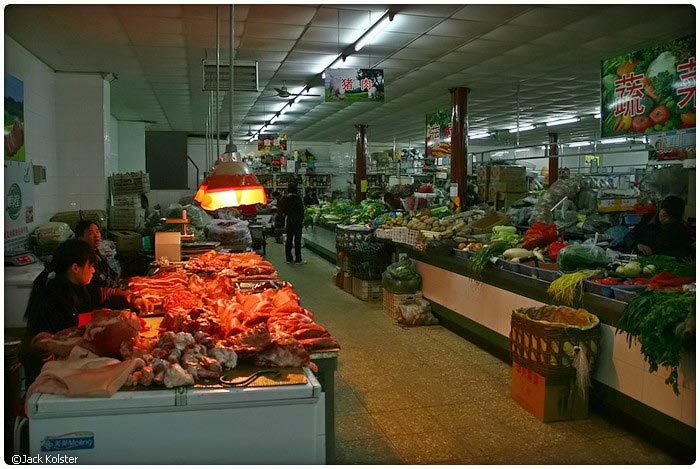 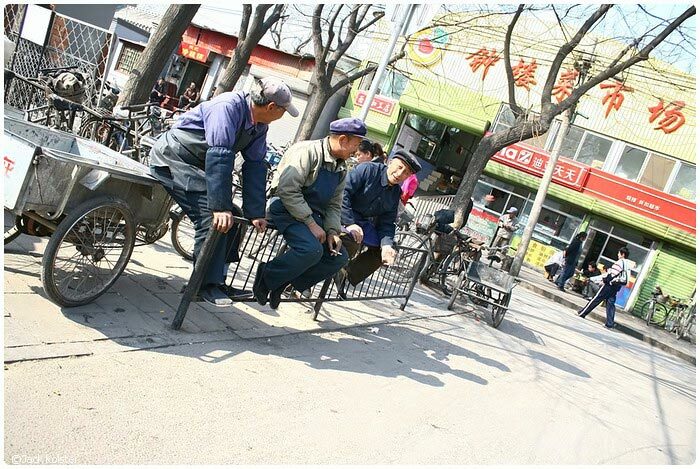 When the new city was finished, there were clear definitions of streets, lanes and hutongs. 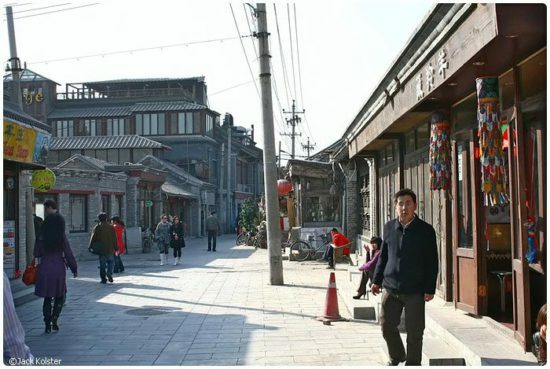 A 36 metre wide road was called a “big street”. 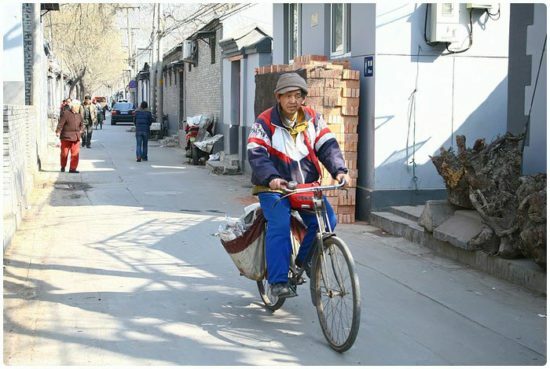 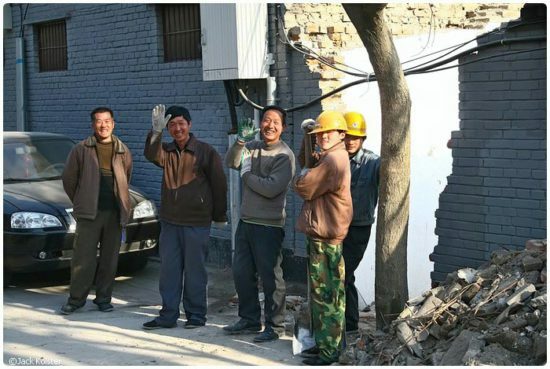 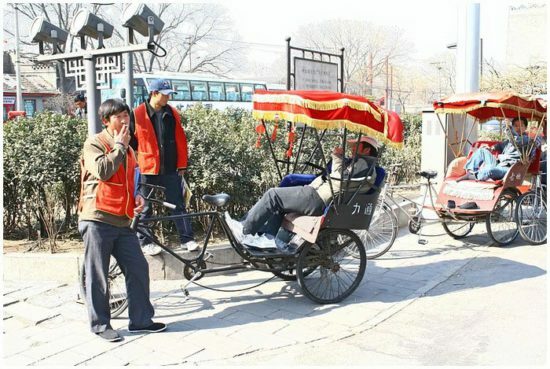 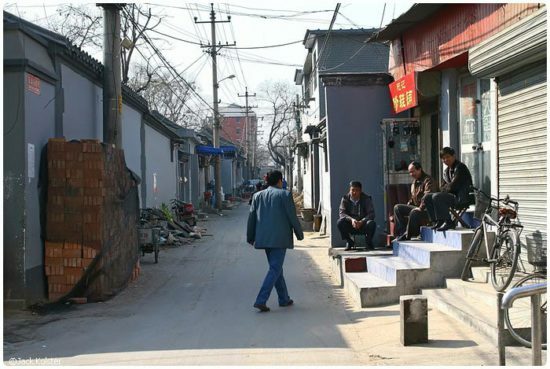 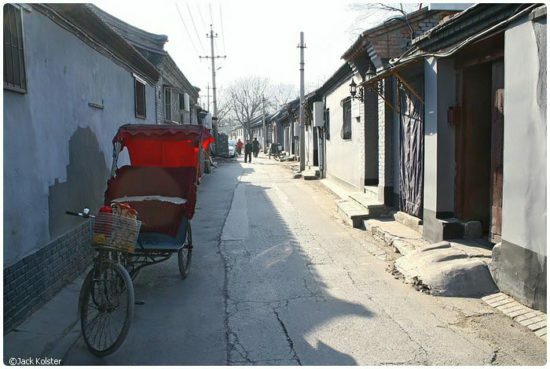 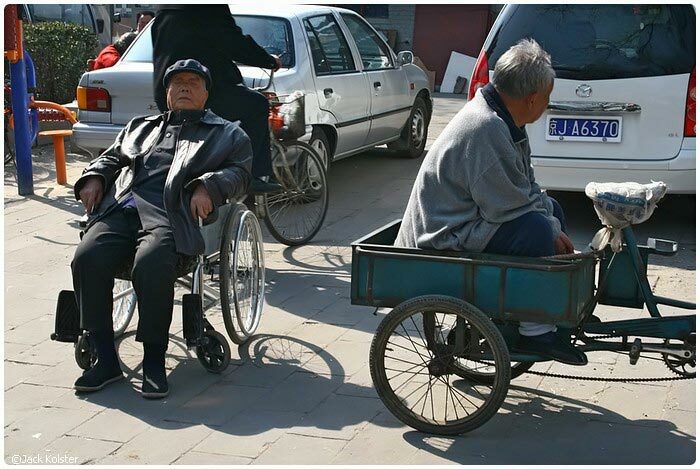 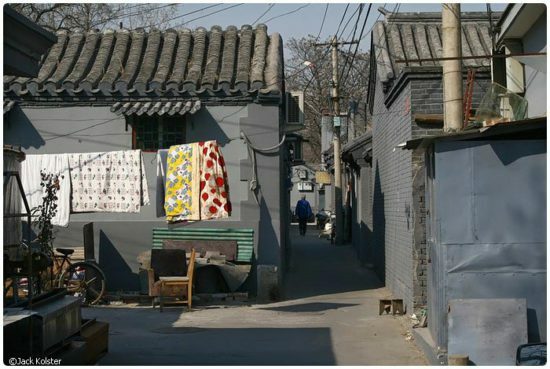 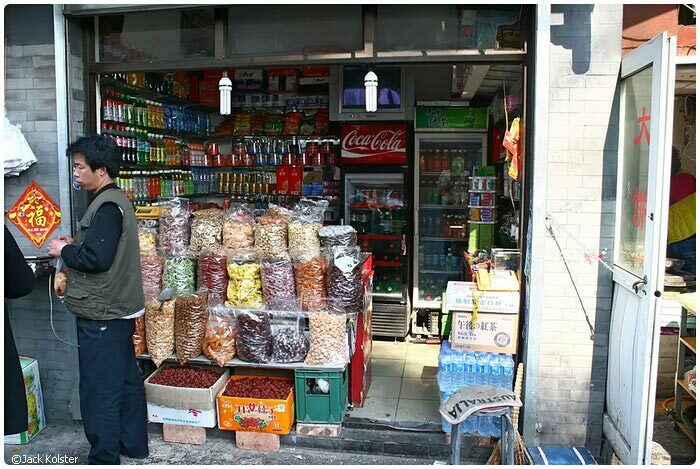 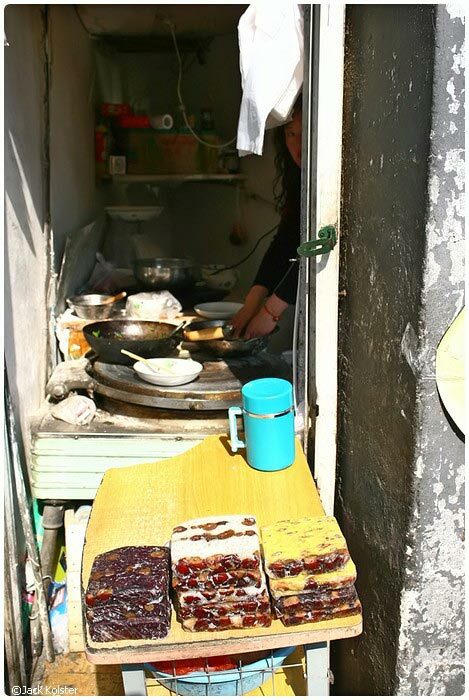 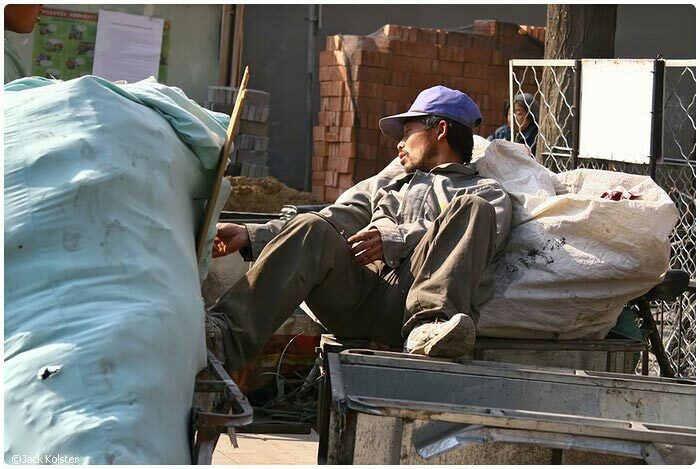 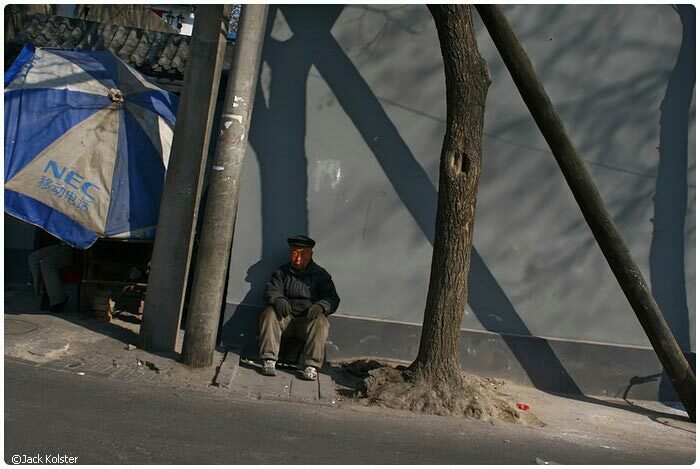 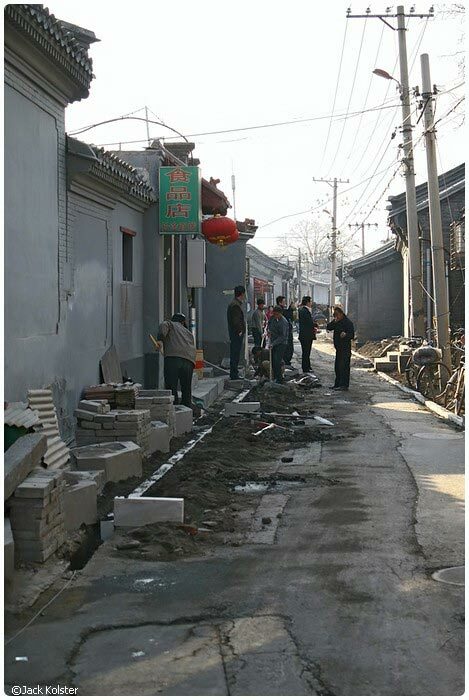 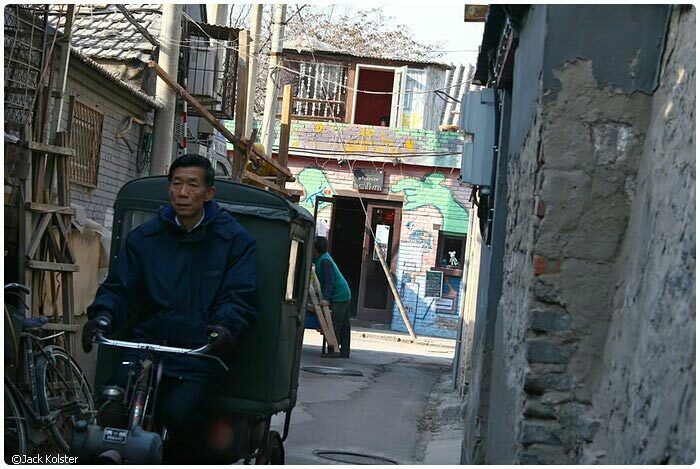 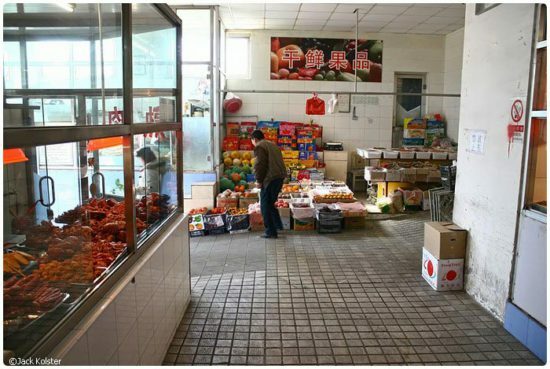 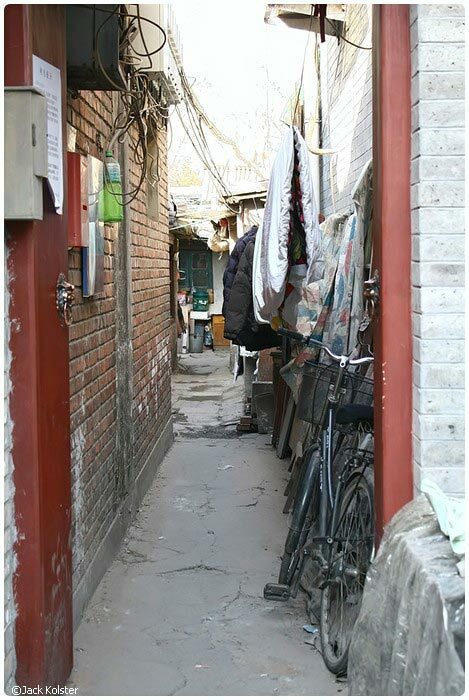 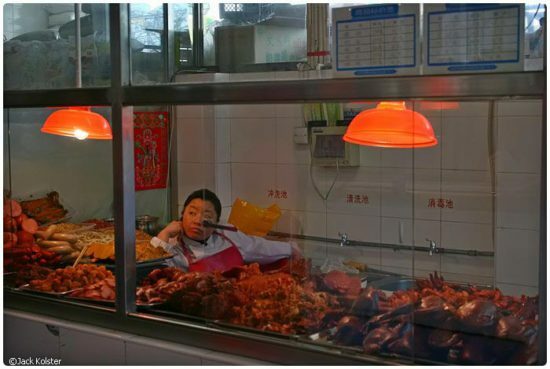 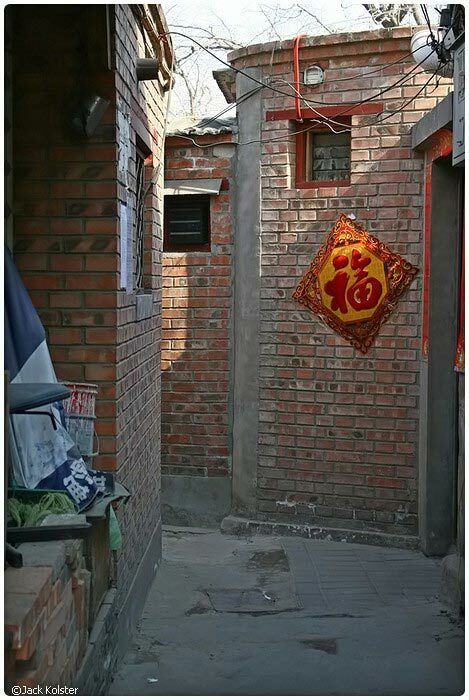 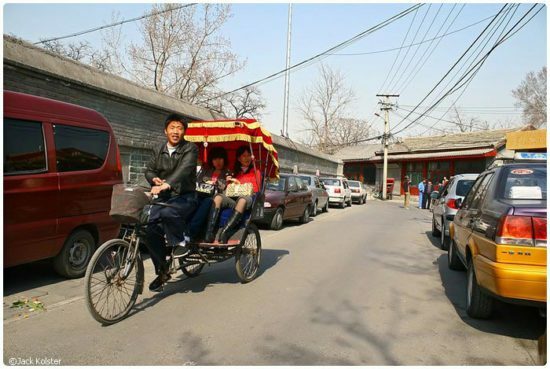 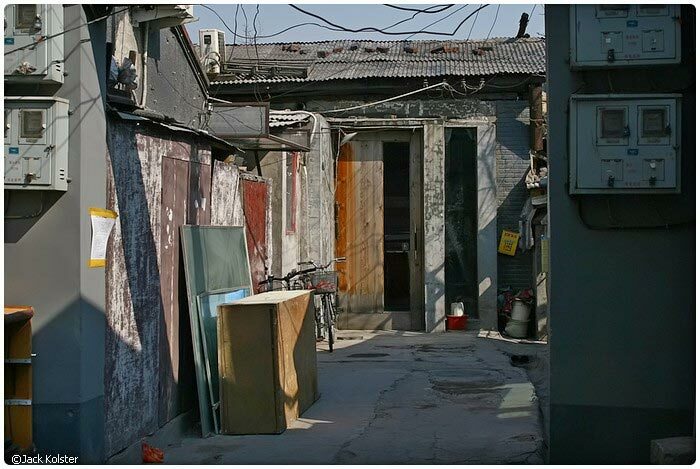 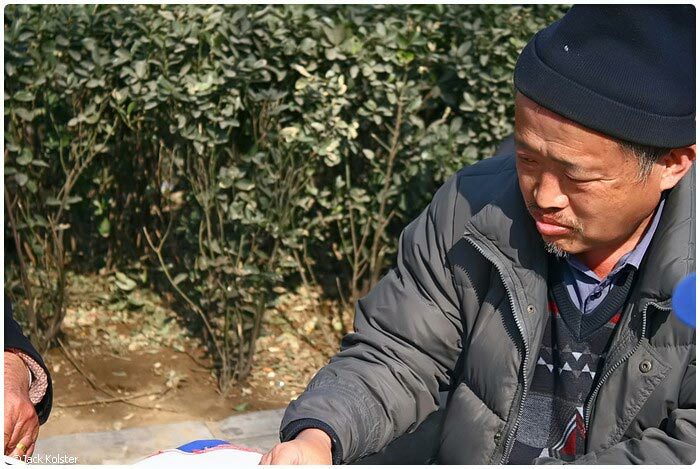 An 18 metre wide one a “small street”, and a 9 metre wide lane was called a “hutong”. Surrounding the Imperial Palace, hutongs were established throughout the Yuan (1206-1341), Ming (1368-1644) and Qing (1644-1911) Dynasties. Most of the hutongs we see today were built during the Ming and Qinq. 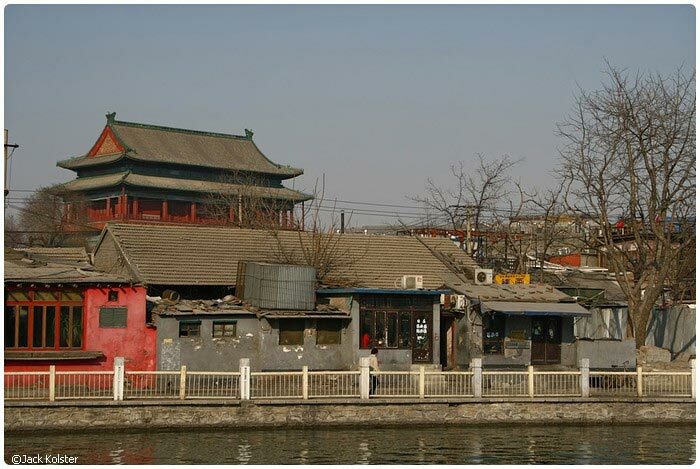 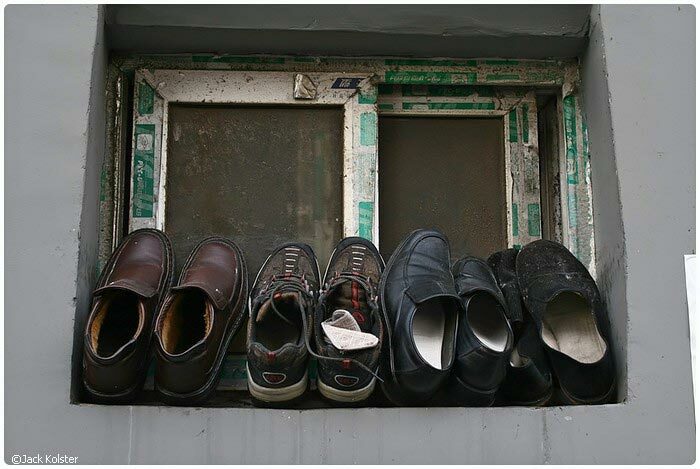 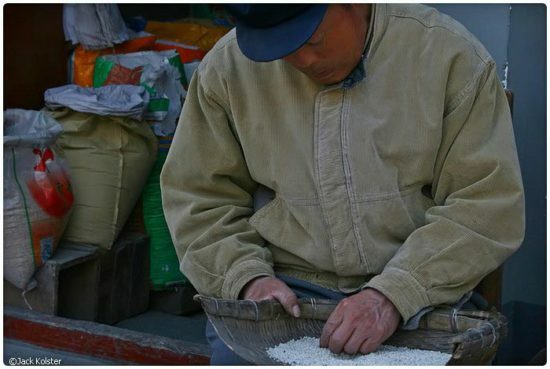 You only still find a very few hutongs preserved from the Yuan Dynasty.